The on-site restaurant offers a variety menu suited for your needs. 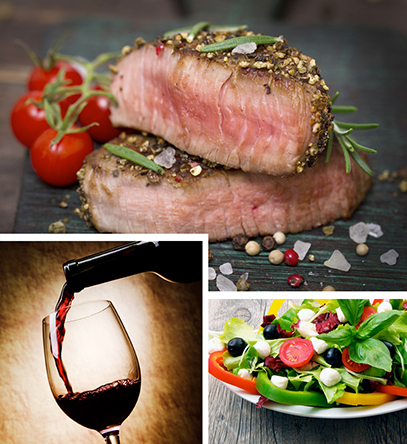 Experience the Cape wines while enjoying the aged steaks and well-prepared ribs. Chicken, potjie menus are the main dishes prepared to suit the bush diet. The restaurant also offers buffet breakfast, as well as requested buffets for any function. The prepared menu by the chef in addition to the drinks of choice is attractive and is available on the link. The bar is also available to meet all your drinking needs.